When you are faced with a financial crisis, the first step is to evaluate your situation and consider all the options. Are you living paycheck to paycheck? Unemployed? Unable to pay your medical bills? These 3-step plan can help you out of a financial crisis. Exactly how much do you owe right now? Does the lender or creditor offer a payment plan? Have you talked to the creditor or lender about options? How soon will this crisis be over? Unable to pay small bills – If you are unable to pay small bills such as utilities and credit cards, contact the businesses directly to see if you can work out an agreement. In the case of a utility bill, it may be okay to skip a payment in a crisis. Utility bills do not report to the credit bureau and they only charge a small late fee. It is not usually not a good idea to use a money lender to pay these small bills. Instead, see if you can negotiate to pay in a few weeks or borrow from a family member. Unable to pay large bills – In the event that you cannot pay your mortgage or loan payment, contact the lender immediately. Most lenders have forbearance and modification programs set up to help borrowers who are dealing with a temporary financial crisis. You should make every effort to pay a mortgage or loan payment on time during a financial crisis. Not paying on time can result in damage to your credit report and possible foreclosure of your property. Consider using savings, borrowing from a family member, or reducing your expenses in order to pay your loans. Deep in debt – If you have a steady income but are facing a large amount of credit card debt, you should develop a plan for paying off the debt over time. Calculate exactly how much you can afford to pay toward your debts each month. Subtract all your minimum payments from this amount and put the rest towards the debt with the highest interest rate and the highest balance. This is the fastest way to reduce your debts. Do not charge additional expenses to your credit cards during this process. Debts in collections – Unpaid debts such as medical bills, and credit card bills are often sold to collections agencies. These agencies call and send letters in attempt to recover the debts they have purchased for cents on the dollar. If you have debts in collection, your first move should be to work with the original creditor or the collections agency to negotiate a settlement. 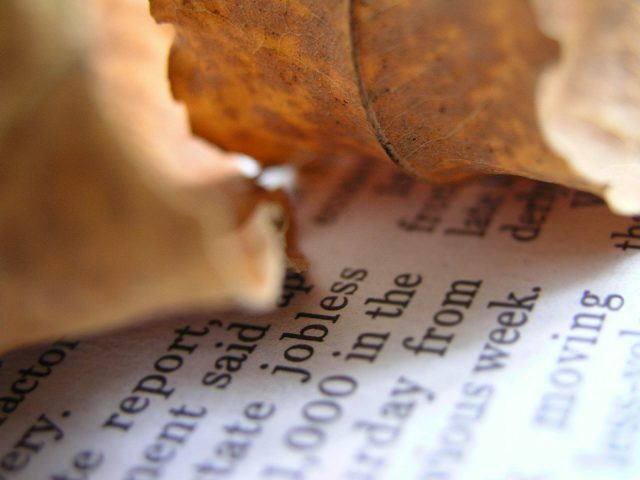 Job loss – In the event of a job loss it can be difficult to make ends meet. If you were laid off, you can contact your creditors to explain that you are temporarily unemployed and to see what sort of payment options they offer. Start looking for a job right away to minimise the amount of time you are unemployed. You may want to reduce your expenses and borrow a small amount of money from licensed money lenders to get by until you find a new job. Illness – When you or a family member falls ill, you may be faced with thousands of dollars in medical expenses. Communicate frequently with the hospital’s billing office about your case. If you meet certain requirements, you may be able to have your medical bills reduced or scheduled into a payment plan. Keep in mind that you are ultimately liable for medical bills. This means that an overdue bill could be sent to collections in your name and could damage your credit report. Credit cards – Credit cards are one of the easiest and cheapest ways to borrow money in a financial crisis. Credit cards work best for a short term problem that you know you can repay in a few months. Savings – Deciding to access savings during a financial emergency may seem like a bad idea, but it is actually a smart move in some situations. You will not have to pay interest or fees on the money you borrow from a savings account. Licensed money lenders – If you cannot withdraw from your savings, don’t have access to credit cards, and can’t borrow from a relative, you may need to turn to a licensed money lender. You can borrow from $500 to $35,000 with these loans. Be mindful that while bank rates tend to range from 5% to 7% (and to 25% for credit card debt) per year, licensed money lenders can charge 30-40% per month. Personal loans – You can borrow $5,000 to $30,000 with a personal loan. These loans have a 1-5 year term and work best if you have a stable income and need a large amount of cash for a financial crisis. Home equity loans – If you are a homeowner or a private property, and you have equity in your property, you may be able to cash out some of your equity by refinancing. These loans can also work for consolidating your debts. Be very careful about using a home equity loan, however. The loan is tied to your home. If you cannot make the payments, you could risk loosing your home. If you take a step back and consider all the options available to you, you can take control of your financial crisis. Most importantly, don’t let a short-term money problem turn into a long-term nightmare. Next articleHow Much Does it Cost to Stay at the World's Most Popular Airbnbs?